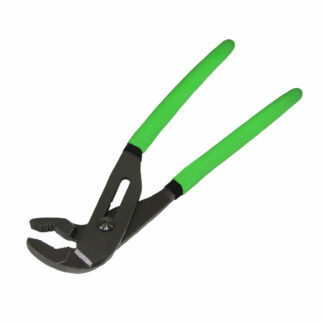 57075 GRIP 12" Tongue and Groove Joint Plier Description Unique tongue and groove offset jaw design allows for use on all kinds of objects. Drop forged, heat treated steel. Fully polished head resists rust and corrosion. Precision machined jaws provide a secure grip. Double dipped cushion grip handles provide a comfotable hold during use.